Welcome to the Bestow family, Montana, Michigan, Missouri, Idaho, and Kentucky! It seems like just yesterday we were talking about signing up on our waitlist to buy a Bestow policy. And now, three months later, we’re already in 37 states. And more are on the way. In August alone, we added 15 states. 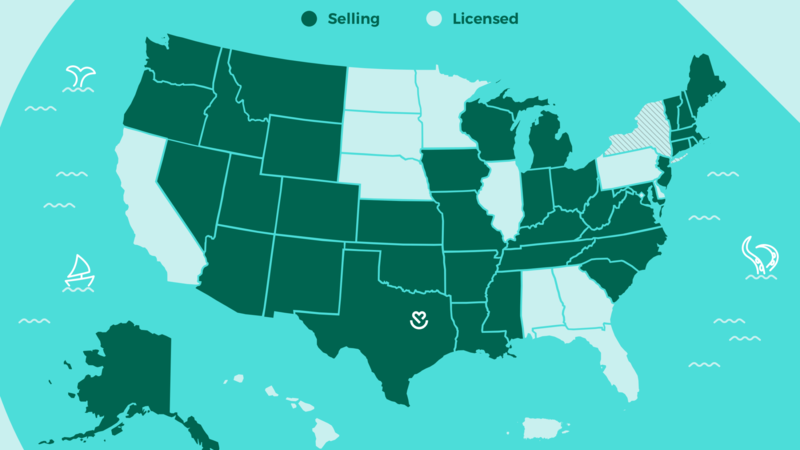 We’re currently licensed in 49 states (New York, we hear you!) and plan to be open in all of those 49 states before the end of the year. As always, you can follow our progress on social media. And if you’d like to sign up to notified when we’ve extended coverage in your state, sign up on our launch page.